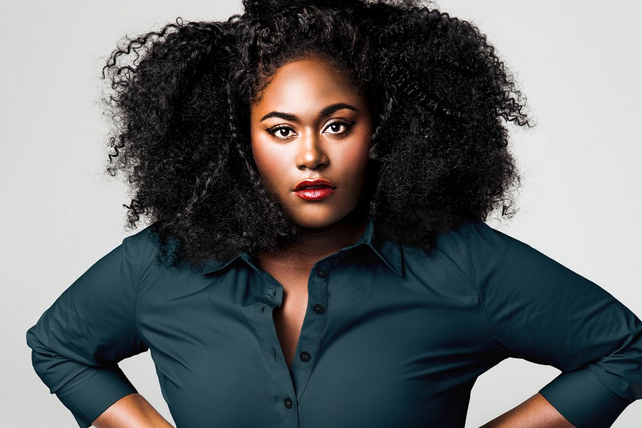 She plays Taystee on Netflix’s ‘Orange Is The New Black’, and a sassy Hollywood agent in Aziz Ansari’s ‘Master of None’, but it is her outspoken opinions on body image in real life that really made us fall in love with actress Danielle Brooks. Despite being part of a streaming platform cult show and undoubtedly being recognized far and wide for her on-screen roles, Danielle recently told Vogue that she still receives rejection and push-back due to her size. It is one of the reasons she says the fashion industry still has a long way to go in terms of being fully inclusive, and not pushing narrow body ideals. “I haven’t been given an opportunity to wear these big-name designers, it has never been an option whether I had a stylist or didn’t. A lot of people won’t design for me, no matter how many SAG awards, Tony nominations, Grammy wins; it doesn’t matter,” she revealed of her awards season experience. In 2016 she was the face of a Lane Bryant campaign, which had a massive billboard in the middle of NYC’s Times Square (lead image above), which was a surreal moment for the actress. “This was baby Dani’s biggest dream come true and I was so elated that I got to be myself…I didn’t have to lose 60 pounds or change. I got to take the time to embrace and love everything that the world had deemed imperfect,” she said. Despite the huge shift in representation we have seen in fashion campaigns and runways over the past few years, especially with brands that have been launched with an empowering mission or positive message, Danielle says the change is not enough and the industry still has a long way to go. She specifically points to the tokenism that often arises, which also largely leaves out women of color. “I don’t know if fashion has made a wholehearted effort. It’s more like, ‘Oh this is a trend, let’s get on it.’ Then they bring in Ashley Graham, who is amazing, but isn’t the only plus-size model ever to exist. What about Marquita [Pring], Denise [Bidot], Philomena [Kwao], Tess Holliday? When I look at the ads I don’t see faces like mine, I see skinny white women,” she said. The Fashion Spot examines diversity by the numbers each fashion season, and in 2017, while some progress had been made, it’s clear Danielle is right on the money in terms of underrepresentation. “For the Fall 2017 season, we examined 241 shows and 7,035 model castings from New York, London, Paris and Milan. According to our data, more women of color walked the runway than ever before. For all four cities combined, 72.1 percent of the models cast were white and 27.9 percent were women of color. This represents a 2.5 point increase over the 25.4 percent nonwhite models we reported for Spring 2017. For reference, Fall and Spring 2016’s runways were 24.7 and 22.4 percent nonwhite, respectively,” said the report. In addition to these stats, for the first time in New York Fashion Week history, every runway they tracked included at least one model of color. The same cannot be said for Milan and Paris. They also noted how NYC was the location of the most plus-size and all transgender model castings, evidence that the city is embracing a broader definition of diversity than its peers. The report also made an interesting observation about the industry in general, suggesting that a complete system overhaul may be needed if we are ever going to see meaningful steps toward diversity and inclusion. “Two of fashion month’s most body — and age — diverse runways featured nonmodels. Suggesting that, ultimately, the best way to make a customer feel represented and included may involve nixing casting agencies altogether…It’s frustrating to see that, despite the industry’s advancements in racial, body and age diversity as well as transgender visibility, it’s clear that white, thin, young, cisgender models remain, for many designers, the ideal,” it said. 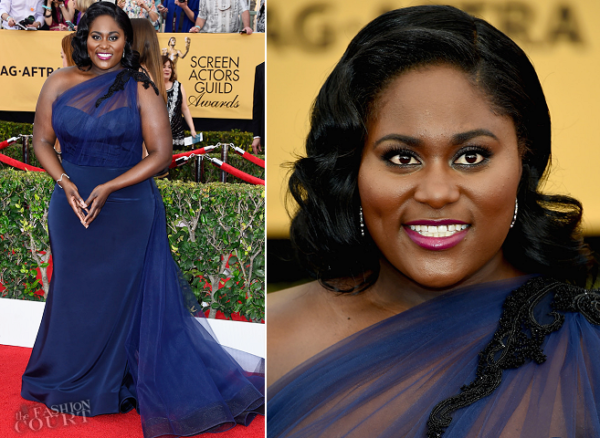 A celebrity like Danielle Brooks should be seeing designers clamoring to dress her for awards season and any major event, but sadly she doesn’t. “I think they’re trying, but they can go harder and we should not be easy on them. I don’t think we should pat anybody on the back for [doing] something they should’ve done 30 years ago,” she said. Comedian and actress Leslie Jones, most famous for her roles on ‘Saturday Night Live’ and the ‘Ghostbusters’ remake, shared a similar experience being shunned by designers, and turned to Twitter to find a solution. Tweeting her frustration at not being able to find a designer to dress her for a major red carpet premiere, Christian Siriano responded with a waving hand emoji as if to say “I’ll do it!” and the rest is history. 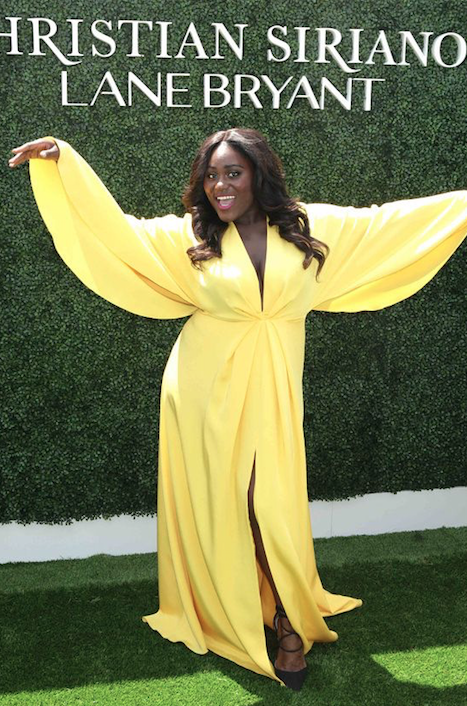 Not only did Christian Siriano design a custom-made dress for Leslie, he has also dressed Danielle in an outfit that the actress said made a lasting impact on one of her fans. “I remember my first SAG Awards I wore this dark blue dress by Christian Siriano and a girl recreated that entire look for her prom. I thought, Yes! It matters. I want women in huge numbers to feel motivated and feel like they are beautiful, but even if it’s just one [person], then my job is done,” she said. In fact Danielle credits Christian as one of a handful of designers who actually are making a huge difference where the rest of the industry is not. The other names she cites are Chromat’s Becca McCharen and Universal Standard’s Alexandra Waldman and Polina Veksler. “The reason I chose Universal Standard to be the first company that I design for is because they symbolize the fact that all women, no matter their shape or size, want and deserve to wear beautifully made, fashion forward clothing. They stand for everything I believe in!” she told People Magazine. It’s not enough to show token displays of inclusivity in fashion anymore. Consumers and smart and paying attention in greater detail. With more celebrities speaking out as well, this is going to be the way to democratize the industry, as The Fashion Spot pointed out in their report.